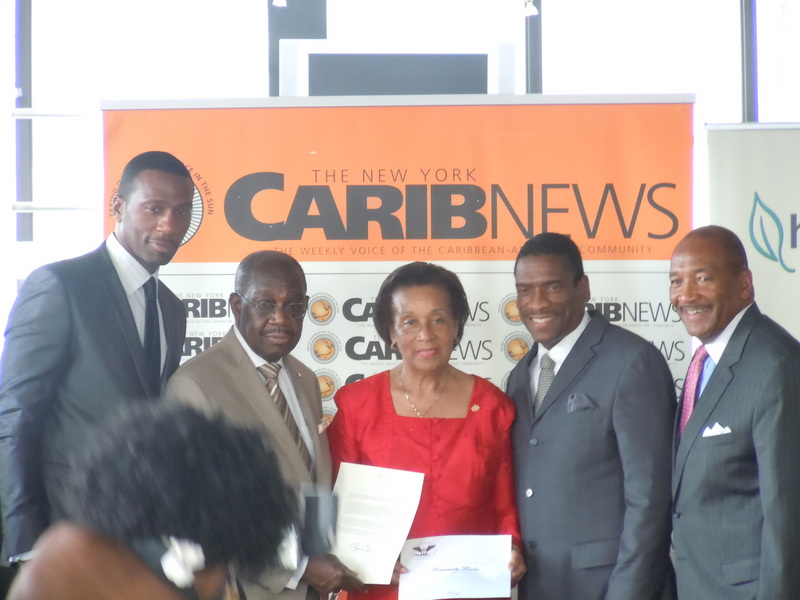 Last Sunday, New York Carib News’s publishers, Mr. Karl B. Rodney and Mrs. Faye Rodney received the President’s Volunteer Service Award. This honorable presentation took place at the weekly newspaper’s annual Fathers reception at the Bentley Hotel Penthouse in the Upper East Side of New York City. Among the fathers that were honored at the reception; Basketball Hall of Famer, philanthropist, public speaker and humanitarian, Thabiti Boone, presented the Rodney’s with this award on behalf of the President and the Council on Service and Civic Participation. The President’s Council on Service and Civic Participation was established in 2003 to honor volunteers that have set a standard for service, encouraged a sustained commitment to civic participation, and inspired others to make service a central part of their lives. The President’s Volunteer Service Award recognizes individuals, families and groups that have achieved a specific standard – one measured by the number of hours of service over a 12-month period or the hours accumulated over the course of a lifetime.